Get the kids involved in the trip planning: Getting the kids involved in the planning process is one of the best ways to ensure you choose a destination that everyone will enjoy. Get together with the kids and talk about some of the places you have in mind. Ask them about some of the places they would like to visit, and come to a decision together. Make sure there is something for everyone: When choosing a location, pick a place where there will be something for everyone to do. Find a balance between kid-friendly activities and places you want to see. Book accommodations and travel plans with everyone in mind: Travelling with kids comes with its own considerations. If you are driving, you may need to stop more often, and when booking accommodations, make sure there is enough space for everyone to sleep comfortably. Follow their parents’ advice: Even if your grandchildren’s parents won’t be present, it’s important to respect their rules and advice. Set rules and expectations before leaving: Kids often think of time with grandma and grandpa as a free-for-all. Things are a little different during travel. Make sure you set rules, and make sure the kids are clear on your expectations. Don’t overplan: Rather than trying to account for every minute of your trip, take a more laid-back approach to your trip planning. Plan a few places you want to visit and then make sure you have some time set aside to explore and find things to do together. Give your grandchildren some space to do their own thing, especially if they are teenagers. Organize your documentation: As the Government of Canada describes, there are things you should know regarding travelling with children. If you plan to travel internationally (including to the United States) and your grandchildren’s parents are not coming with you, the children will be required to have a valid passport and possibly visas, and it is recommended that you have a notarized letter from both parents granting their permission for their children to travel. Without a notarized letter, you could run into issues at border crossings. Get travel insurance: Travel insurance is an important part of any trip you plan. Make sure that you and your grandchildren have adequate travel insurance for the entire duration of your trip. You never know what can happen, and being prepared is essential. 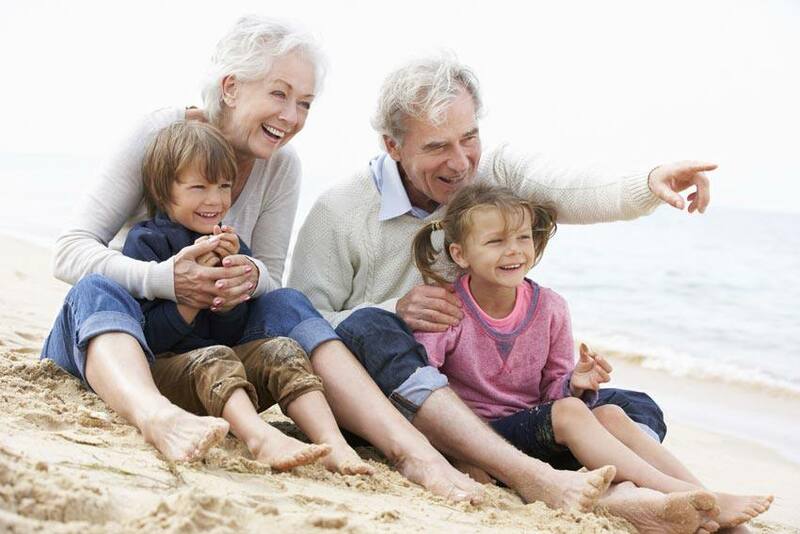 Use these tips to have a safe and fun trip with your grandchildren. Happy travels!